Winter in California is so back and forth. One day it can be sunny and chilly or the next, crazy rain and snow in the mountains. It sure makes it fun for dressing as you can choose a variety of things to wear throughout the week. 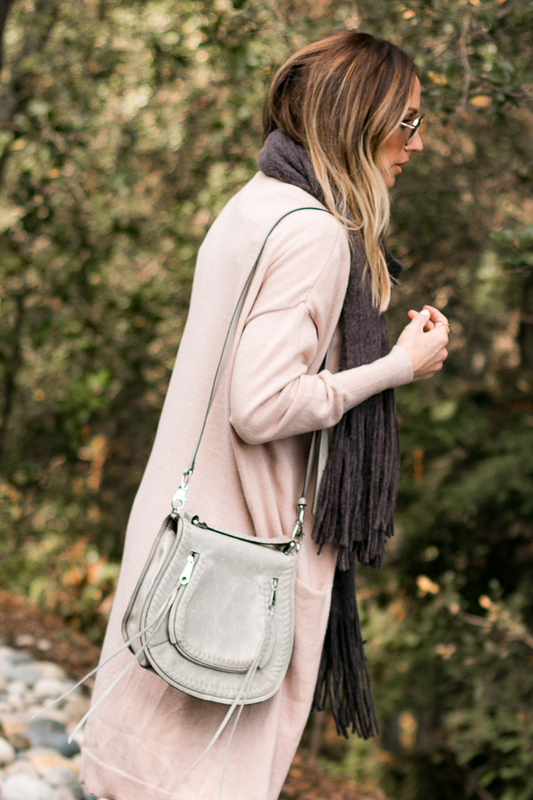 Grey and blush are definitely one of my favorite combos together. I love how neutral grey is and by adding a touch of pink, gives it a bit of feminine edge. I must say, I have gotten some mileage out this grey tee dress over the last few seasons and I have really good news: it's on sale 50% off right now making it under $13. Also, my over-the-knee boots are completely in stock for all sizes. They are one of the most comfortable boots I own and I am 5'10" and happy to report they go over my knees.